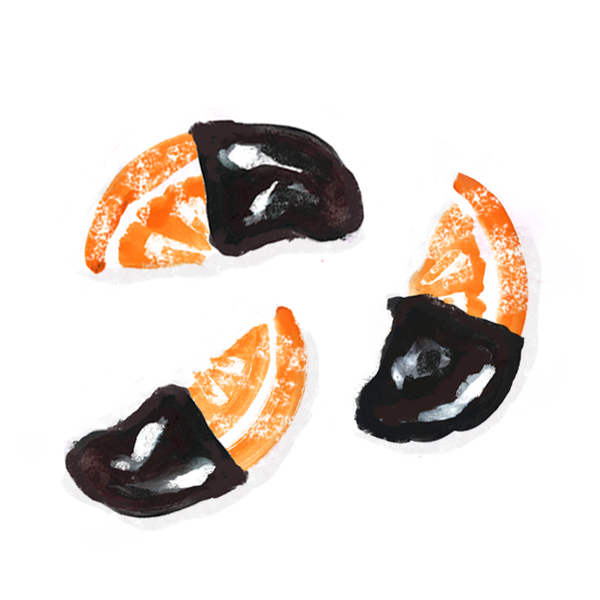 These candied oranges pair perfectly with an after dinner cup of coffee or some winter cocktails. They also make a beautiful edible holiday gift. Slice oranges thinly with peel still attached. In a large pot, combine 1 cup sugar and 2 cups water over medium high heat and bring it to boil and dissolve sugar. Reduce heat to low. Carefully place orange slices into boiling water/sugar mixture. They keep their shape best if you can arrange them in one layer, instead of overlapping them. Cover, but leave a small air gap between pot and lid. Let oranges simmer for an hour and a half until peels start to look translucent. Swirl pan to move peels around if needed. Transfer slices to wire rack with a slotted spoon, and let dry to tacky (6 hours or overnight). Place remaining half cup of sugar in a plate. Roll orange slices in sugar. Melt chocolate. 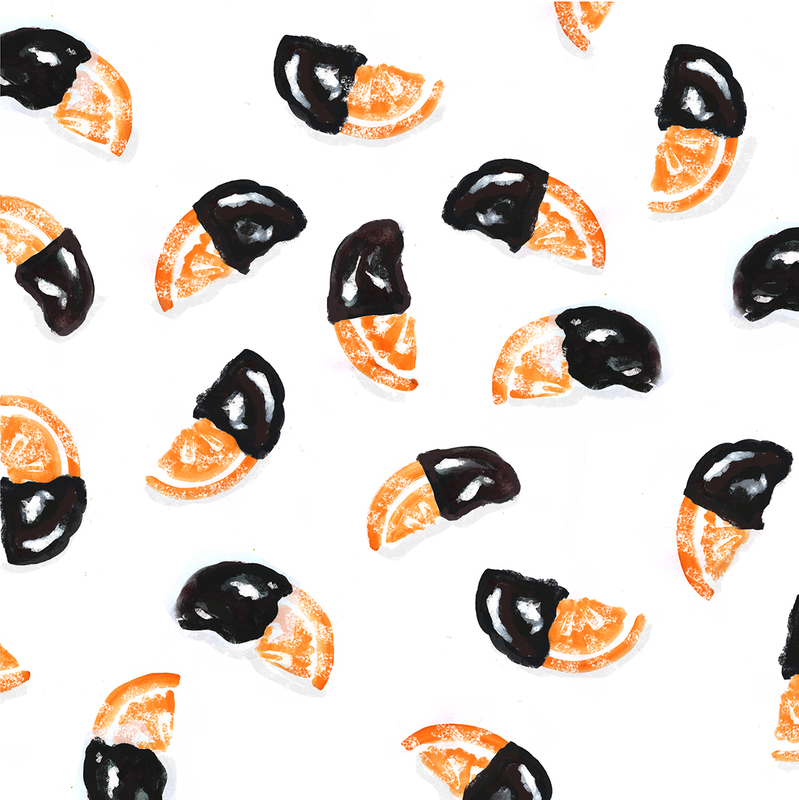 Let cool slightly and dip orange slices. Transfer to a plate lined with aluminum foil. Chill in fridge. When ready to serve, peel slices off of the foil.